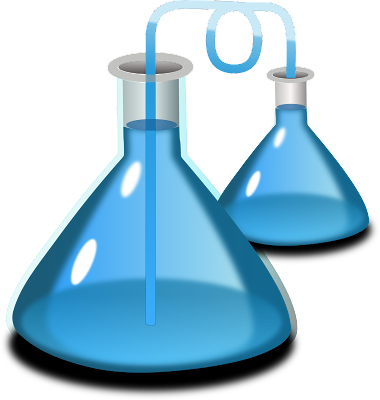 Are you experimenting with the marketing of your writing? If your writing isn't getting published or your books aren't selling, are you changing or trying new venues? If not, why not? The definition of insanity is trying the same thing over and over—yet expecting different results. Not everything you try with marketing your books will work, but you have to continue trying. Sometimes it takes a while for a book to catch on and sell into the market. It's the same with your online marketing efforts or your work with magazines, you have to experiment and see what takes hold. All too often writers will try something and have meager results, then instantly discount or eliminate a particular area of the market or a book pitch or proposal. 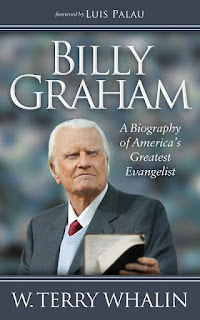 For example, my biography of Billy Graham came out about a year and a half ago—yet I'm still doing radio interviews, promoting it on social media and at events. This Saturday will be the first Colorado Book Festival at the downtown Denver Public Library. Morgan James is one of the co-sponsors of the event and I have been encouraging our local authors to come and promote their books. A number of them are coming. I've created new bookmarks promoting my Billy Graham biography that I will be giving out. In addition, I'm working on some new promotions for early November (around Mr. Graham's birthday on November 7th when he turns 98). As an author, you have to keep promoting and telling people about your book—even long after it releases. You have the greatest passion for your own book and that has to translate into your on-going marketing plans for the book. If your book has been out and it is not selling, then you need to be looking for new markets or doing more to be telling people about the book. Some books take several years before they catch on in the market. It is one of the realities of publishing and you have my encouragement not to give up on this process of marketing your books. Last week, I told you about interviewing Rick Frishman, publisher at Morgan James, and one of the leading publicity relations experts. Rick is also the creator of Author 101 University and the 29th such event will be held next month in Los Angeles, California (October 20–22). If you act right away, the conference price has been reduced to $197 AND you can bring a friend for FREE. If you use my coupon code TERRYGUEST then you can get an additional $50 off the registration. But to get these discounts, you have to register right away. 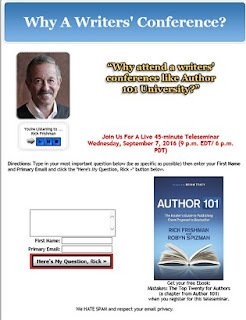 For the last several years, I've been interviewing Rick Frishman before Author 101 University. As an experiment, this year I'm interviewing him a second time on Wednesday, September 7th. Rick will be doing more in-depth teaching during the 45–minute session but you can still ask him a question (follow this link). I've also worked with Rick to create a second brand new Ebook, Mistakes: The Top Twenty. Everyone who registers for this event will be able to immediately download this resource. Also if you can't make the event, it will be recorded and everyone who registers will get the replay. Will we have more people listening on Wednesday night? Will we get more people signed up for Author 101 University from this second effort? Will we help more people learn about how to promote their books and succeed in the publishing world? At this writing, I don't have answers to these questions but I'm certain about this: we will not know if we don't try it. As an acquisitions editor, I speak with a lot of authors and potential authors. Everyone is looking for the magic bullet to sell their books with the least possible effort. Yes you have to write an incredible book for the right target market then be telling your target market about the benefits for the reader from your book. There is no single path to creating a bestseller. If there were such a path, then every book would be a bestseller—and that's not the reality of the market place. 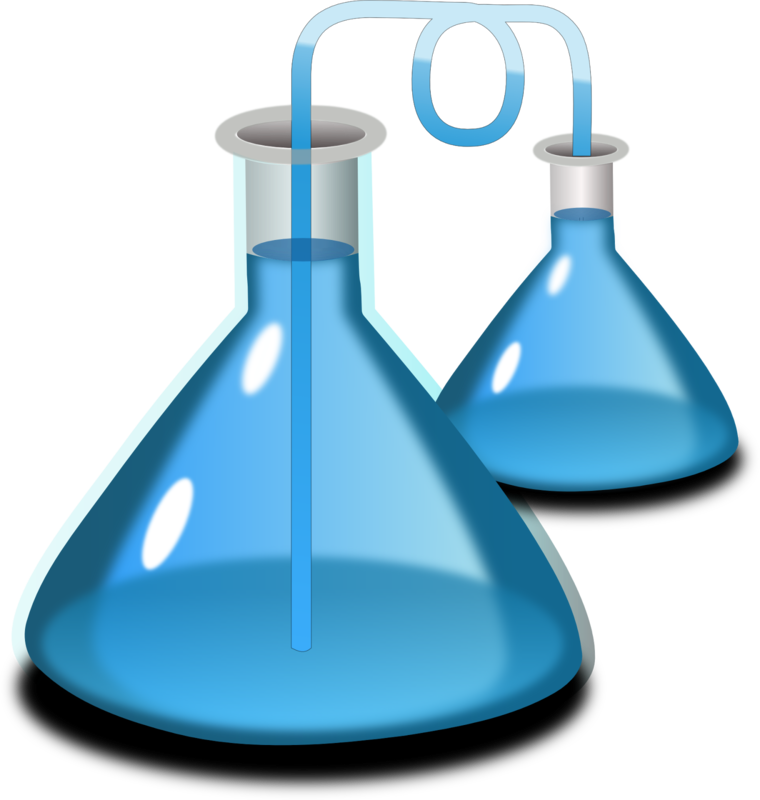 What experiments are you making with marketing your book? If you are needing more ideas in this area, one of the best steps I can recommend is planning to attend Author 101 University next month. When you attend, meet as many people as you can (exchange business cards) and then take action on the new ideas you gain from the experience. 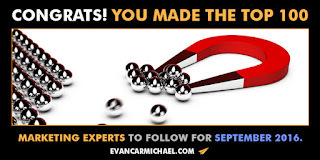 In September, once again, I was selected among the top 100 marketers on Twitter. I remained at #56 on this distinguished list. As an author, I'm not just writing and talking about marketing and promotion. Every day I continue to actively work at telling new people about my work (and encourage you to do the same—stressing the benefits in this process).